What is most telling is that even given the divisive and downright xenophobic campaign the Conservatives have run thus far, they are still within striking distance to form government. This carefully crafted U.S.-style Republican narrative has set Canada on an extremely dangerous course, and one that only Canadian voters can steer back to the right path. From "old stock Canadians" deserving of greater government benefits, to the ridiculous niqab debate, to the absurd hotline dedicated to reporting "culturally barbaric" practices, the Conservatives are pulling no punches in their quest to mobilize their voter base. With just days left to go until the election, the Liberals and Conservatives are locked in a dead heat with the Liberals leading only by a small margin. What is most telling is that even given the divisive and downright xenophobic campaign the Conservatives have run thus far, they are still within striking distance to form government. Is this a reflection of a dynamic cultural shift or are Canadians simply being duped into a racist mentality neatly packaged under the guise of security? In either case, this carefully crafted U.S.-style Republican narrative has set Canada on an extremely dangerous course, and one that only Canadian voters can steer back to the right path. From "old stock Canadians" deserving of greater government benefits, to the ridiculous niqab debate, to the absurd hotline dedicated to reporting "culturally barbaric" practices, the Conservatives are pulling no punches in their quest to mobilize their voter base. The man behind this dangerous yet effective xenophobic strategy is none other than political strategist Lynton Crosby known as the "Wizard of Oz" for advising former Conservative Australian Prime Minister John Howard to multiple election victories. He also served as the brains behind the London mayoral campaigns of Boris Johnson in both 2008 and 2012 and Prime Minister David Cameron's recent majority victory in the U.K. Hired by Harper's Conservatives in September, the "Lynton Crosby Effect" is becoming more apparent now than ever. The master of the "dark arts" is using a playbook that unfortunately has a track record of success. Strategists like Crosby know that negative campaigning has potential gains if it can rally support. The tactic is to target a minority through religious symbols or practices in efforts to separate it from the mainstream. The inevitable backlash that results is then conveniently dismissed as proof of disloyalty. An alien, disloyal minority group engenders victimhood and fear amongst the mainstream, and fear, as we all know, is a great motivator. Given a record of political apathy and an exploitable climate of Islamophobia, Canadian Muslims are the perfect prey. Aisha Ahmad, assistant professor of political science at the University of Toronto, rightly states, "targeting religious attire to calling other cultures 'barbaric,' the Harper-Duceppe strategy aims at actively creating social xenophobia and then presenting themselves as protectors against an imagined enemy." The political efficacy of such an approach is borne out by science. A 2005 study by the American Journal of Political Science found that campaign ads that make people feel fear caused people to seek more information and remember more facts from a newscast aired afterward. A Conservative anti-immigrant campaign ad during the 2005 UK general election is a perfect example of how fear can be fomented by branding immigrants as the reason for society's ills. The approach is no surprise considering Crosby was advising the U.K. Conservative Party in 2005. Recently, Crosby proclaimed that UK Conservatives risk losing the next election if they fail to cut immigration. For Crosby, the anti-immigrant card is always in play. It's time for Canadians to reject this hateful rhetoric as we have seen this script play out before. If Canadian Muslims are the target today, Irish-Canadians were targets in the mid-19th century for their fervent Catholicism and downtrodden roots. Both Italian and Japanese Canadians were seen as threats and relegated to internment camps during WWII. Jewish immigrants in the early 20th century saw discrimination in Quebec and were seen as a threat to Canadian identity. Although not immigrants, Aboriginals were a minority continually targeted through discriminatory government policies one of which that sought to "civilize" them through residential schooling resulting in the deaths of at least 4,000 children. We have fallen for the same trick time and time again. Politicians know this and use it to their advantage. Over time, Canada has learned from history to evolve into an accepting, multicultural state where our cultural differences are celebrated, not tolerated. We live in a country where our cultural mosaic is seen as a societal strength, not an existential threat. We live in a society where we can express our faith without judgment and derision. 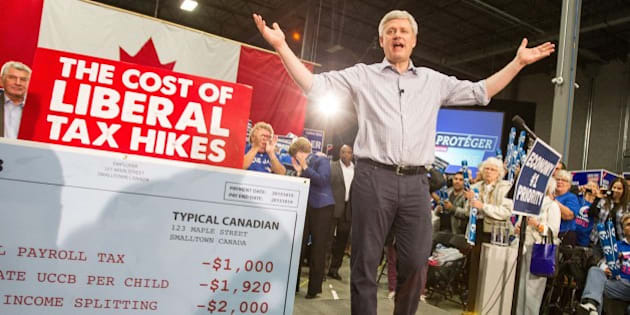 Unfortunately, Lynton Crosby and Stephen Harper's Conservatives are attempting to pit Canadians against each other and take us backwards all in the name of winning the ballot box. It is now time for Canadians to take the reins and move this country forward or risk losing it altogether.